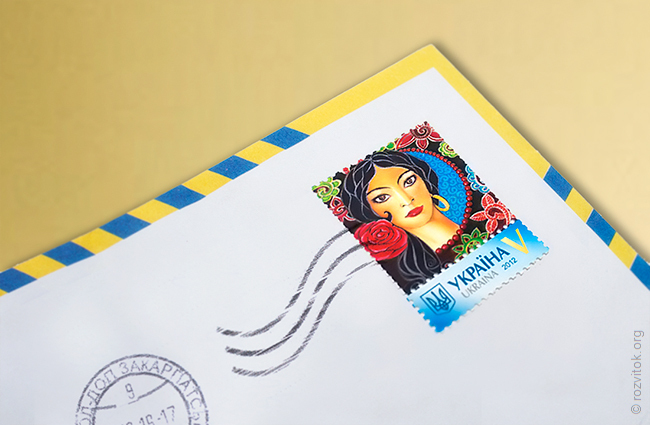 In celebration of the International Day Roma we created the first postage stamp dedicated to the Roma. Basically, the stamps depict famous people, great episodes of the historical events. April 8 – is a significant date in the life of 12 million Roma in the World. The appearance of this stamp – have some kind of recognition of the Roma’s role in the historical process. Today the first of a planned series stamp that will be an example of illustrated history of Roma comes into circulation. The celebration of the International Roma Day is the most generally recognized symbol by means of which the Roma feel the importance of their contribution to the World cultural treasury and pride in their existence. 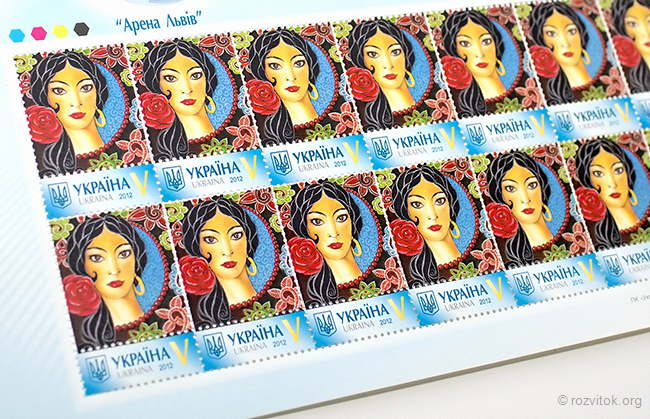 Portrait of Roma women, which is located on the stamp, have one aim – to change the labels of hate speech and xenophobic attitudes to the labels of respect and dignity. For the most of us it is a simple color sticker in the right corner of the envelope. For the Roma it is a symbol of solidarity and pride in the celebration of this great Day. Of course, the stamp cannot stop all manifestations of hostility and anti-Roma actions in society. But it can create an image in the minds of people, according to which Roma are happy people. People who have their rich history and unique traditions.